BERLIN - Bicycles are now allowed onboard the CTrail Hartford Line trains as of August 16. “With the growing success of the Hartford Line, we are pleased to announce that we will now allow bikes on board, providing passengers with more car-free travel options,” CTDOT Public Transportation Chief Richard Andreski said in a statement released on the day the policy began. The action came after the CTDOT conducted a study, in response to customer requests and outreach by the bicycle advocate community, which determined bicycles could be safely stored on CTrail Hartford Line trains, according to the statement. The bicycles must be stored in accordance with crew member directions to ensure the safety of customers and train crews, the statement said. Collapsible and folding bikes will also be allowed on any CTrail Hartford line train, but they must be folded or collapsed before boarding the train. They must then be stored in luggage areas at the end of the coach or under a seat, and not stored in overhead racks. Bikes on the Amtrak Hartford Line trains currently must be collapsible bikes. The DOT is working with Amtrak to potentially expand all bikes to those trains. 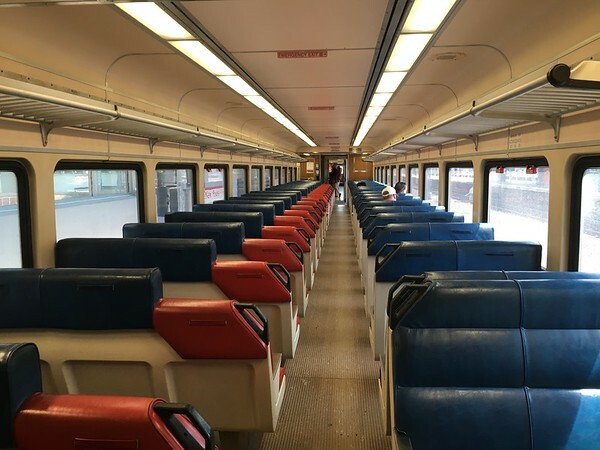 The Hartford Line, which opened in June this year to connect the New Haven and Springfield corridors with stops along the way, uses both CTrail trains and Amtrak trains to provide increased service from strictly Amtrak trains that ran on the rails previously. A stop is located in Berlin at 51 Depot Road. Posted in New Britain Herald, Berlin, State on Tuesday, 28 August 2018 19:23. Updated: Tuesday, 28 August 2018 19:26.